Shambles!! Tornado that struck, taking 116 lives. Shambles!! 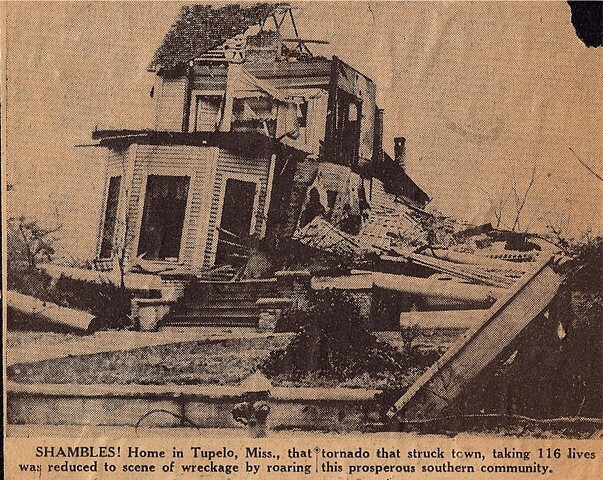 Home in Tupelo, Miss., that was reduced to scene of wreckage by roaring tornado that struck town, taking 116 lives this prosperous southern community.